A former weekly editor who also worked as a daily newspaper’s restaurant critic has died after a battle with cancer. Tributes have been paid to Mark Humphreys, who edited the Falmouth Packet series in the early 1980s before going on to spend nearly two decades with the Hull Daily Mail in a variety of roles. In Hull, Mark served as assistant editor and was also known as the newspaper’s restaurant critic. He later went on to work for the Press Association in Howden and taught at Grimsby Institute. It is understood Mark, pictured, was 72. Former Mail deputy editor Stan Szecowka, who now edits Middle East-based English language publication Gulf Weekly, said: “I’m heartbroken by the news that our good friend Mark has lost his battle against cancer. I met up with him over Christmas when I was back in the UK on a short visit and had a chat with him on the phone only a couple of weeks ago. “Mark was a great character, a superb journalist and a faithful friend who was by my side during some of our most enjoyable and challenging times. 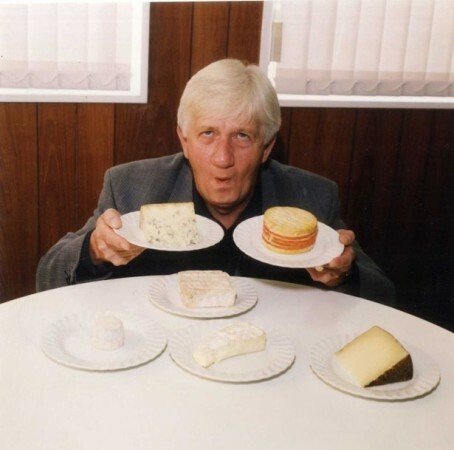 We all loved Mark and none more so than Hull and East Yorkshire’s dining establishments. “I do recall seeing a plaque outside one outlet stating Egon Ronay Recommended which was dwarfed by a massive promotional banner proclaiming Mark Humphreys Restaurant of the Year. No competition really. Prior to becoming Packet editor, Mark had worked as a sub-editor in Manchester for the Daily Mirror. In retirement, he continued to live in Beverley and became captain at Beverley Golf Club where he helped to raise funds for Dove House Hospice, in Hull, where his late wife worked and was cared for when she passed away. Mark was diagnosed with cancer last year. His funeral details have not yet been announced. Mark was really quite a character and his restaurant reviews were legendary. He helped introduce me to the page editor’s desk at the Mail and he was a good man to work with.